Stratford-upon-Avon is best known as the birthplace of William Shakespeare. 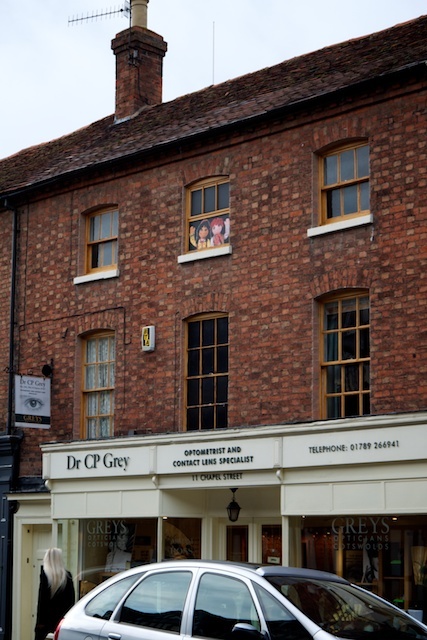 It's very well set up for tourists, and it understandably has many.It became a market town in the late 12th century, and that heritage is evident with Sheep Street and Corn Street having vendors for the products after which they were named. Click on photos to see larger versions. November, 2010. The centerpieces for tourists wishing to learn about William Shakespeare are the five Shakespeare Houses, his birthplace, Nash's House (where Shakespeare retired), Hall's Croft (home of Shakespeare's daughter), Mary Arden's Farm (the home of Shakespeare's mother when she was a child), and Anne Hathaway's cottage (where Shakespeare's wife grew up). When Shakespeare inherited his father's house (the birth house), he had no need to live in it, so it was turned into a pub and butcher shop. To make more room, an addition now graces the back of the home. The other main attraction related to Shakespeare are the theatres for the Royal Shakespeare Company. The Royal Shakespeare Theatre and Swan Theatre were under construction when we were there, but were due to open later that month. While they used to be two separate buildings, they are now joined as one. While the theatres were closed, the Courtyard Theatre was opened just down the road as a temporary venue. Not only that, they experimented with a different stage (a thrust stage, where the stage juts into the crowd, which would be closer to the original Globe Theatre) and it became the prototype for the renovation of the Royal Shakespeare Theatre. It's not surprising that the River Avon runs by Stratford-upon-Avon, and there are several bridges which cross it. One bridge was actually an old Roman road. 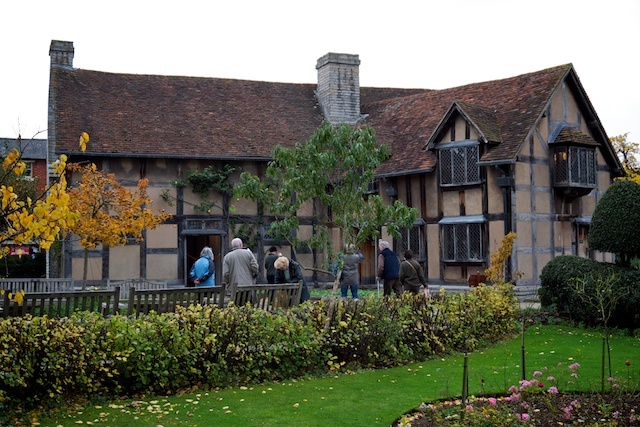 The best way to learn about the city itself is to take the Stratford Town Walk, which shows you not only the Shakespeare highlights but also the history of the town. 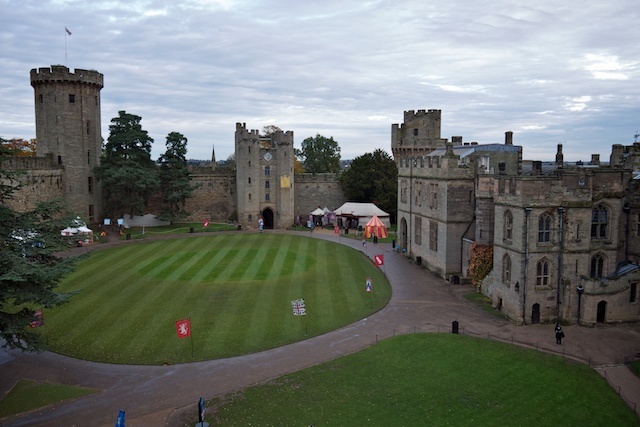 Warwick Castle, the home of the Earls of Warwick, is over 900 years old. While it took several centuries for the castle to take the form you currently see. Once you step inside, however, the experience is as if a medieval castle were run by Six Flags. As a matter of fact, Merlin Entertainments (who purchased Legoland in 2005) manages the castle. To be fair, they do a pretty good job of letting you learn about the history of the castle, and use amusement-style queue management (dividing the castle into the equivalent of "rides", and having each move in a one-way fashion).